The site was established in March 2004 and is run by people who have a passion for tench fishing. We want other anglers to enjoy tench fishing as much as we do and our aim is for TFW to provide as much quality web content as possible! 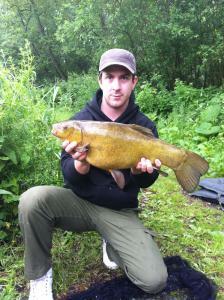 A 9lb 7oz Tench from Bellwood, Newbury.